Bowers XT Pistol Grip SALE!!! When a Quality Professional asks us what type of pistol grip style bore gage he should buy, one of our favorites to recommend is the Fowler / Bowers Holematic XT Extreme System. 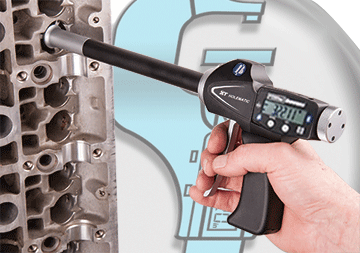 Made in England and featuring an industry best 5 Year Warranty, these gages are perfect for hundreds of measuring applications including: standard bores, slots, threads, grooves and many more! We are Bowers Factory-Certified so call us with your applications. You will not find a dealer with more Bowers knowledge than Gaging.com and we feature a low price Fowler-Bowers Guarantee!